The region of Albania has an extremely old and dynamic past. Remnants of this still linger some 2,000 years later, like at Rozafa Castle. The ancient Fortress, which lies just outside Shkoder, is said to originally date back as old as 350 BC. Legend has it that to keep the structure from falling during construction, a wise elder advised the builders to sacrifice one of their wives by burying her in the walls. One of the wives complied, as long as they left one of her breasts exposed so she could still feed her infant son. For 200 Lek, just under $2, you can explore the eerie grounds and get one of the best views of the city below. No matter what part of the country you're in, Albania is overflowing with these ancient sites with incredible views. If you like a day packed with history, the Butrint Ruins are well-preserved vestiges of the previous inhabitants that started gathering here around 50,000 BC and is now protected by UNESCO. They've also started preserving Berat Castle (similar to a small village), which is home to over 20 Christian churches, a mosque, a central museum, and even some families. If you don't have time to spend a day at one of these places, you're destined to stumble upon one of the 750,000 concrete-domed bunkers built during communist rule from the 60's to the 80's. The rocky coast and pristine waters of the Albanian Riviera are quickly catching on as one of the most desirable European destinations. Not only is the area beautiful, but it's fairly secluded and extremely cheap compared to its more famous counterparts, like France, Greece, and Italy. A nice dinner weights in at $8, while hotels can be found for about $30 a night. 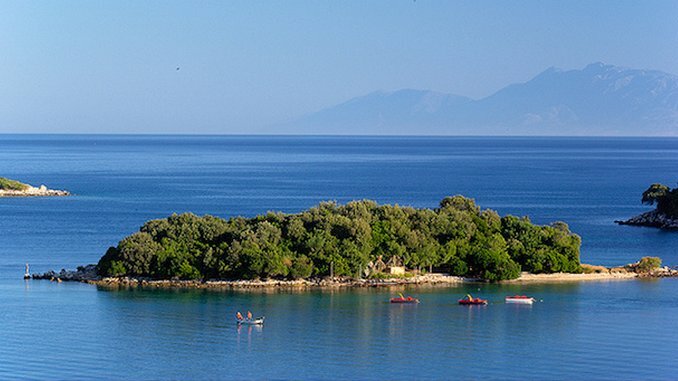 The 125-mile long coastline features popular golden beaches like Ksamil, a small village that is equipped with beachside bars, resorts, and three remote islands that you can swim or paddle to. For something even more private, check out Pulebardha or Mirror Beach, which are less than an hour from each other and Ksamil. If you want to see a little bit of everything, try a private tour of the Riviera's most beautiful beaches or secluded sites on the Ionian coast. The ocean isn't the only incredible water source in the country--there are plenty of lakes and natural wonders to explore too. Syri i Kalter, also called "Blue Eye", is probably the most popular of these. The famous colorful spring is a bottomless mystery, which is known to be at least 165 feet deep and miraculously pumps clean water to the bubbling surface. Visitors can reach the spot in an easy 20-30 minute hike and grab a bite of local cuisine. While swimming is allowed, it's advisable to wait for a hot day, since the water temperature averages around 50 degrees. For more time on the water, thrill seekers should try rafting the Osumi Canyon, which offers four hours of paddling the towering canyon walls equipped with picturesque waterfalls and swimming spots. If you're planning on visiting after the summer rush, hiking the canyon or kayaking Lake Shkopet are other great alternatives. Albania's diverse scenery makes for a huge variety of delicious dishes, usually a mix of locally harvested produce and fresh ocean catches. Luckily, the country's size makes it easy to stock seafood caught earlier in the day, but for the complete feel, head over to Abiori Ksamil on the coast. With perfect views of the beach, this restaurant offers seaside cuisine like grilled fish with vegetables, fresh mussels, and an herb calamari linguine. If you find yourself north, the capital city has some of the best to offer. Sofra e Ariut is one of Tirana's most renowned restaurants, has won numerous awards and even claims to have served Laura Bush. The cozy, cabin style venue offers Albanian favorites like grape rakija and tave kosi (a baked lamb and rice casserole) along with traditional entertainers. From Tirana, a day trip to coastal Durres is a must. You will find filling meals of steaks and sausages for under $5, free WiFi, and local microbrews at Brauhaus 1.0 & Zgara Korcare. The pub serves over 35 different brews, including imports like Sierra Nevada and Heineken, just in case you get homesick. For dessert, head over to Kaiser Bar for baked ice cream with a panoramic view of the city. Hikers beware: the Accursed Mountains, also dubbed the Albanian Alps, are a hidden paradise waiting for you to fall in love. Adventure seekers and nature lovers travel from around the world to hike the range, which peaks at nearly 9,000 feet. However, transportation to the trails can be extremely limited and navigating a route can be difficult. Although locals are friendly and often willing to help, the intense language barrier means that hiring a guide is recommended to even the most experienced hikers. You can see all of Albania in about 15 days, which offers sights like the Butrint ruins and spectacular views of the Riviera. These can get a little pricey, but for an English-speaking guide, food, and multiple means of transportation covered, it's a deal. If you don't have 15 vacation days racked up to explore the area, shorter guided tours are available and give visitors the unique chance to see the Accursed Mountains in eight days and to stay with (and dine with) local families. For those who want to dedicate just a day, the popular trek from Valbona to Thethi National Park takes about 8 hours and is perfect for families and individuals with time constraints. You won't need a guide here, as the hike follows an old, well-maintained mule footpath. When most people think of a European vacation by the sea, their minds wander to France, Italy or a clear day in Grecian waters. What most don’t know is that tucked between these more famous spots is a country with just as many sights and almost ten times less traffic. That country, Albania, is one of the many treasures on the Balkan Peninsula, a unique blend of mountain views and beaches lined along a crystal-clear coast. Along with traditional Adriatic Sea cuisine and a rich historical past, this diverse country is the perfect choice for your next secluded getaway. With the help of tour operator Outdoor Albania, here are five things to catch on your next Albanian adventure.